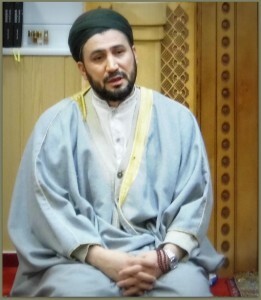 Shaykh Sayyid Osman Mürteza Efendi was born in the end of the 1970s in Kayseri/Turkey and is one of the sons of the Grand Shaykh Sayyid Muhammed Efendi. He spent his childhood in Kayseri and later moved with his father to Istanbul. There he completed his elementary, high school and university years with success and was sent by his father to Europe to the local Muslims to make his service. After Shaykh Sayyid Osman Mürteza Efendi settled in Bielefeld, he founded, together with the local Sufi house associations and foundations, through which the spiritual disciplines Abdulqadir Gilani and the teachings of our Grandshaykh Sayyid Muhammad Effendi to convey to the Muslims in Europe and them in the light of Sufism a way for their religious and social life is shown. He also held in many other cities in Europe dhikr circles and seminars on Islam and Sufism and issued Suhba and lessons. With his Tariqa students he traveled to many countries to which he brings the blessed of Hazrat Gilani’s spiritual path and forwards the dhikr circles in which are found together people who love and honor Gilani.